In June of 2018 we'll be traveling to San Juan, Puerto Rico to partner with the local church and Praying Pelican Missions (PPM). We hope to be a blessing to our brothers and sisters there, and to see and be inspired by what God is going in the church. Our team is made up of 6 adults, and 13 youth, and you - our very important hometeam! The goal of this page is to keep you updated as we plan and learn about our trip, to share prayer requests (for us as we prepare, the church and PPM team in San Juan, and Puerto Rico as a whole), and to be a landing page for current fundraisers. Thank you for visiting our page, and supporting this opportunity and team! If you have questions about the trip you are invited to contact our trip leader, Megan Huff at sslcyouth@gmail.com. We're officially registered and have airfare! Youth are working on their support letters to their networks, and spending time learning a bit more about Puerto Rico. San Juan is seeing restoration of buildings, water, and electricity. Progress in these areas is moving slower in the more remote areas of the island. Many of the churches are serving as emergency centers, helping to provide warm meals, minor medical help and clinics, and a focal point for rebuilding. Praying Pelican Missions teams in November - April will be focused on hurricane relief and rebuilding. Many residents have had to relocate from the island as a result of the hurricane. This is leaving many of the churches limited in volunteers and staff to help support their ministry and relief projects. We pray for the leaders there, that they would continue to have hope in the midst of this season. We pray for continued progress to be made on the island - especially in the areas of clean water, and power being restored thorughout Puerto Rico. Want to give directly to a student, or the group? Head on over to our support page to make a donation. 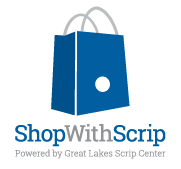 Shop with Scrip! Click the link to learn more about how you can support our trip through your everyday purchases of gas, groceries, and more! Velasquez Family Coffee is a sale we'll be running every other month. Support our youth, while also supporting a local, family business. (Our favorite is the Memo's Breakfast Blend)!